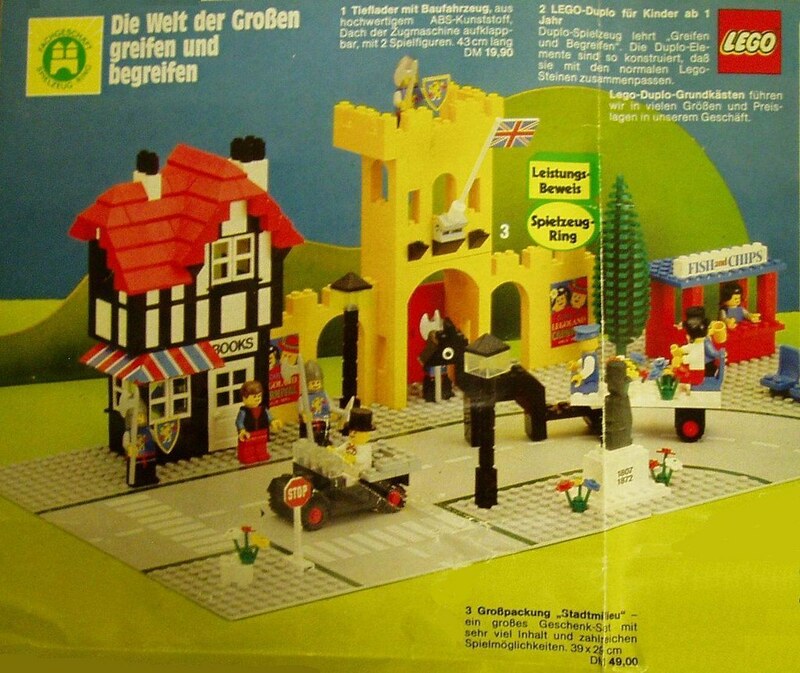 Then in 1980 they came out with a similar set... the British Weetabix Cereal promotional 1592 Town Square set (with a castle sub-theme to it). 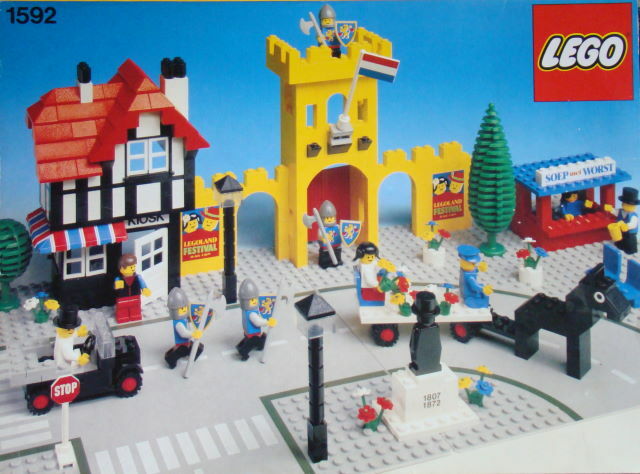 This set had a UK flag and other stickers that really made a nice city set. TLG must really have produced a lot of these sets... since they were also sold in limited quantities in Japan... and also in Canada. It was likely an Eaton's Department Store exclusive in Canada, since it was not found in any Canadian catalog (nor was it found in Japanese catalogs). 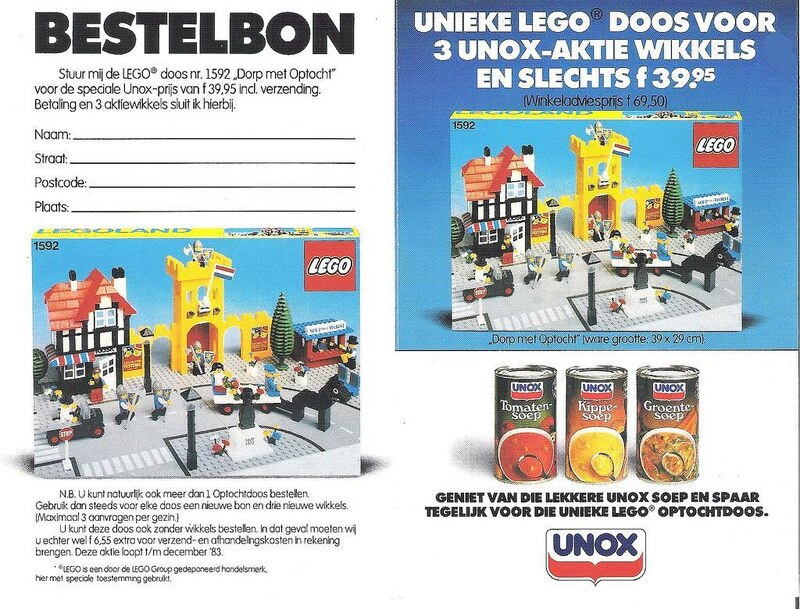 Now one would think that all of the leftover British 1592 sets were sold before TLG produced the Dutch version in 1983... well not really... A Dutch acquaintance was a LEGO fan as a child... along with his 2 brothers... And their parents sent in 3 sets of UNOX Soup labels and money to get 3 of the Dutch 1592 sets. Well guess what arrived?? 2 Dutch and 1 British version of the 1592 sets!! 1592 is a cool set IMO. It would be nice to see an updated version sometime. 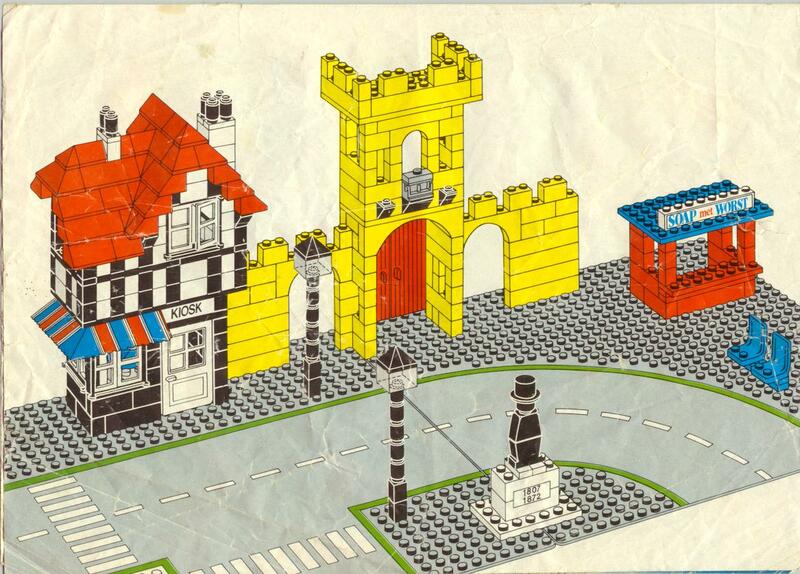 I guess Kingdoms Joust next to a modular building would be about the same though. "Unilever was a cleaning product" that is incorrect, it is a large manufacturer of almost everything one can find in your average supermarket (worldwide under the Lever name). Worst en Soep would be translated to Sausage and Soup (under UNOX brand this is a very known product of Unilever, you might know it as Knorr). 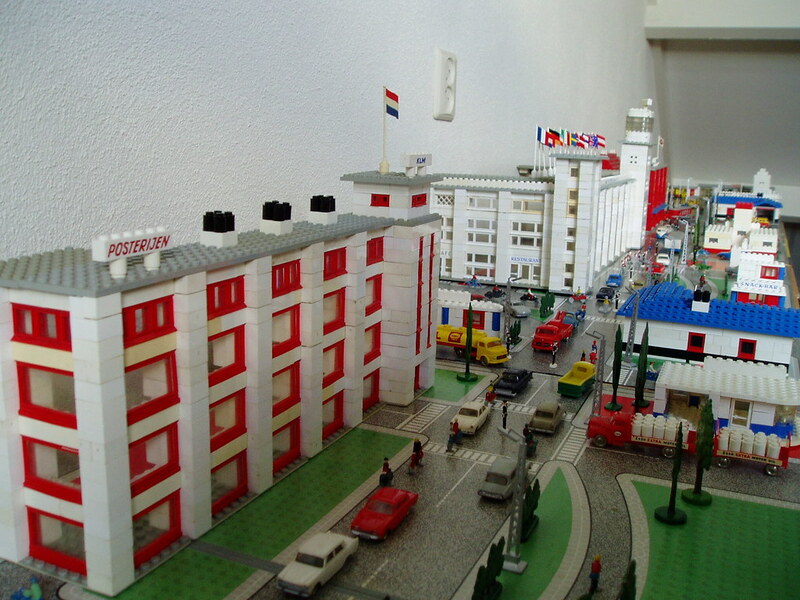 Thanks for posting, nice to know a bit of the history behind the set. A pity we didn't eat a lot of soup at home when I was young. It is a great set. So I was still a happy kid. It was one of my favourite sets. I remember the Weetabix promotion. Jeez is it that long ago? Unfortunatley I didnt eat enough Weetabix to get one of these! But im sure on the inside of the box there was a picture you could colour in. Not the same though. 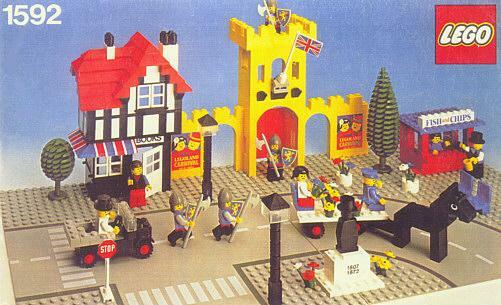 How good would it be for Lego to team up with some company again to release a similar promotion? 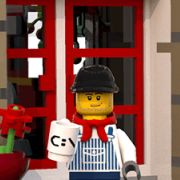 But even many of Unilever cleaning products are unknown to Americans... such as PERSIL... of which there are some LEGO promotional sets for... again the Persil/Unilever connection would be generally unknown to American LEGO folks. Even LEVER HOUSE... the famous and historic New York City "International Style" skyscraper is referred to on the internet as the "American HQ of the Anglo-Dutch soap maker"... so yes in the USA... when people think Unilever... they think soap products!